Our range of products include bursting strength tester, computerised bursting strength tester, motorized twist tester, puncture resistance tester and motorized bursting strength tester. 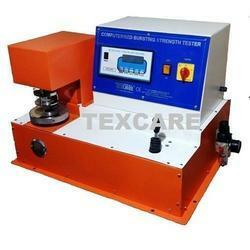 Our company has earned great laurels as manufacturers and suppliers of Bursting Strength Tester. 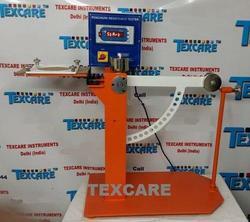 TEXCARE Bursting Strength Tester is used to determine the bursting strength of any type of corrugated boxed. paper and board by using hydraulic pressure. The bursting force is measured by a microprocessor based digital indicator and processed through software. Result show in digital display and as well as computed attached with Bursting Strength Tester. Machine can be operated by computer and manual both. 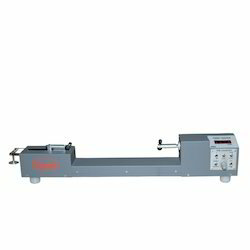 TEXCARETM Motorized Bursting Strength Tester are used to determine the bursting strength of any fabric, leather, paper, and card board. 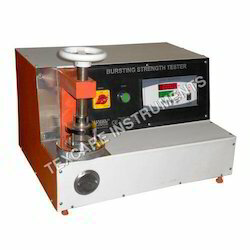 Bursting Strength tester works on hydraulic pressure created in the cylinder through glycerin. A test specimen is held between two annular clamps under sufficient pressure to minimize slippage. The upper clamping surface which is in contact with the test specimens has continuous spiral grooves. A circular diaphragm of pure gum rubber is clamped between the lower clamping plate & pressure cylinder so that before the diaphragm is stretched by pressure underneath it the center of its upper surface is below of the clamping surface. The equipment is fitted with a motor driven cam mechanism, which increases fluid displacement on the lower side of the diaphragm at a specified rate. The equipment is fitted with an arrangement, which automatically brings down the pressure and stops the motor on completion of the test cycle. A maximum reading type pressure gauge gives the bursting pressure. The equipment is raggedly designed to give a long & trouble free life. The components are brighter chrome plated or painted in metallic paint to give the tester an aesthetic appearance.